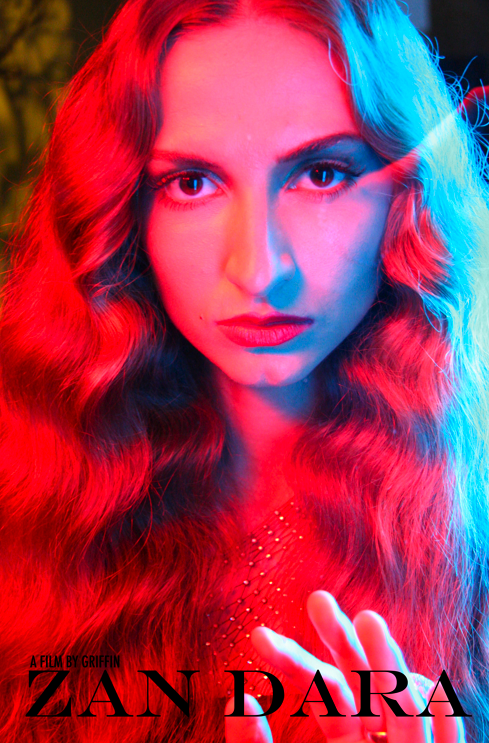 Zan Dara directed by Griffin, commissioned by Diane Pernet and Italian Vogue. 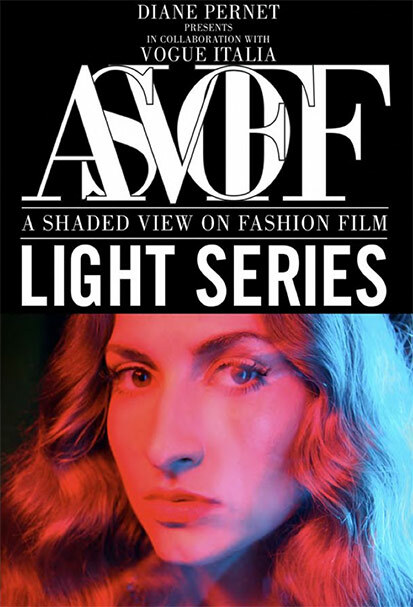 ASVOFF Milano 1 MINUTE LIGHT SERIES directors’ group portrait. 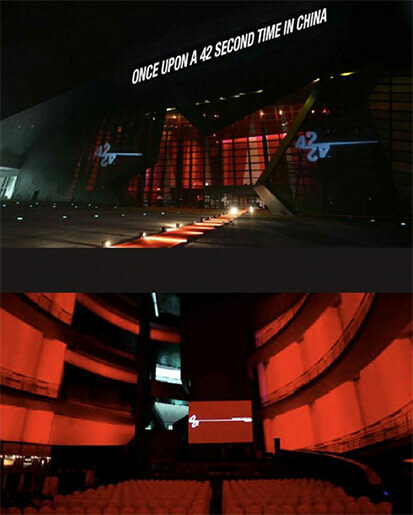 Franca Sozzani’s 1 Minute Light Film Series May 2010.
opening party at Palazzo Morando in Milan, Italy, in April 2010. 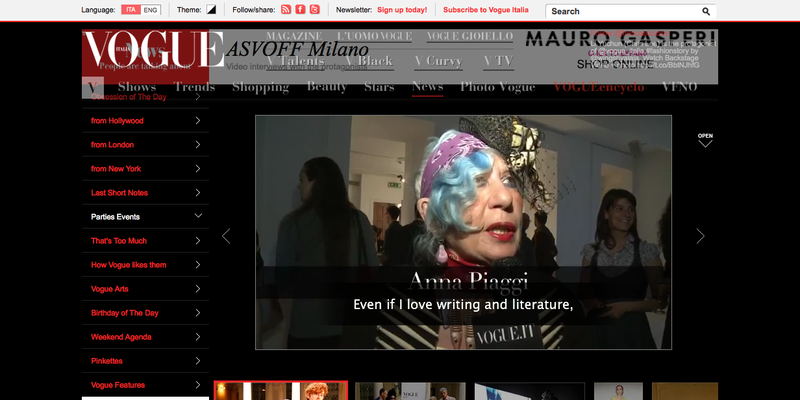 Fashion TV report on Italian Vogue and Diane Perent’s 1 Minute Light Series exhibition in Milano May 2010. 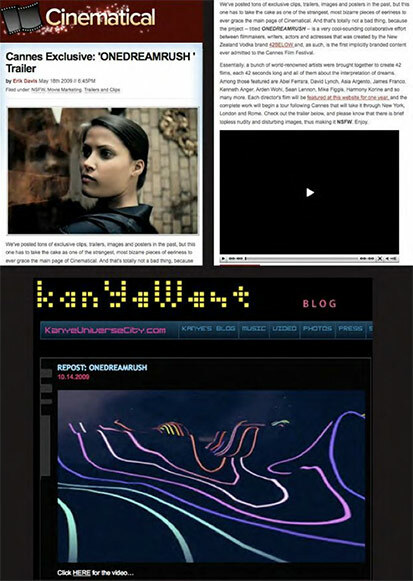 Vox Humana directed by Griffin for Rodarte, commissioned by and featured on SHOWstudio as part of their FUTURE TENSE series. 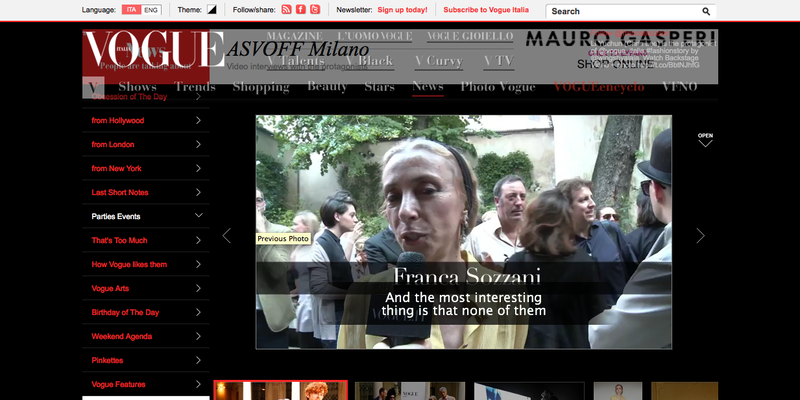 Vox Humana featured in ASVOFF festival and trailer on New York Times T magazine blog. 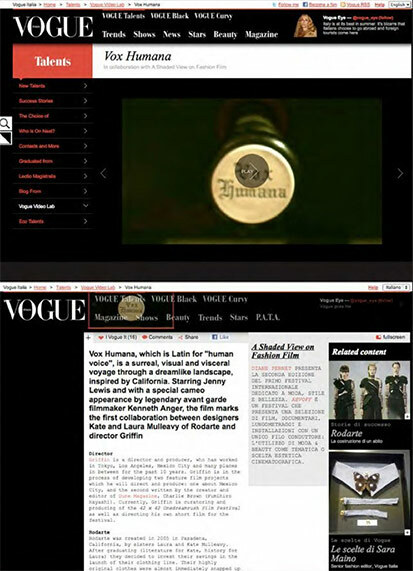 Vox Humana featured as the first fashion film to launch Italian Vogue’s new website in February 2010. 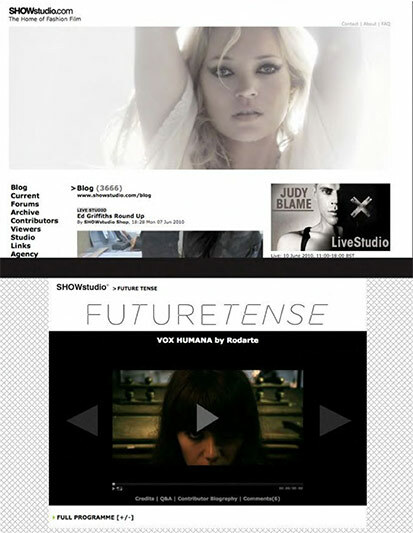 Article about Vox Humana, Griffin and Rodarte featured on Marie Claire Italy’s website. 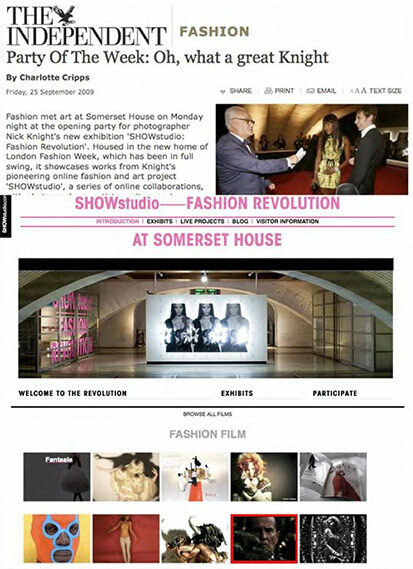 Article about SHOWstudio‘s 2009 Fashion Revolution exhibition featuring 10 of years best fashion films of the year at Somerset House in London. 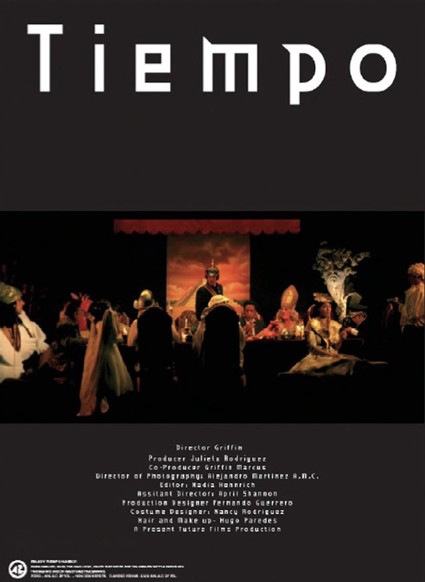 Vox Humana was selected as one of the 10 best films for the exhibition. 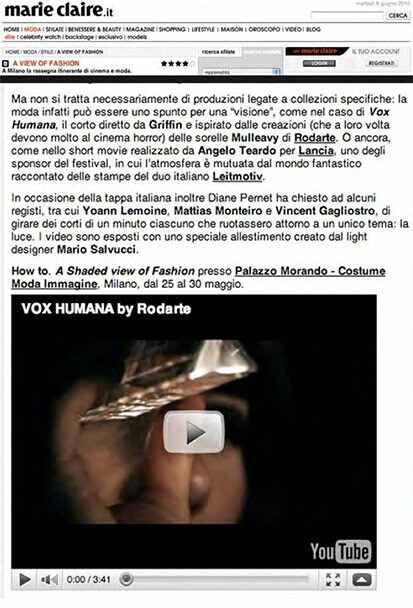 Diane Pernet’s A Shaded View on Fashion Film Festival second edition trailer featuring Vox Humana. Rosey Chan, Mote Sinabel, Griffin, Mike Figgis, Ilya Rozhdestvensky, Asano Tadanobu and others. 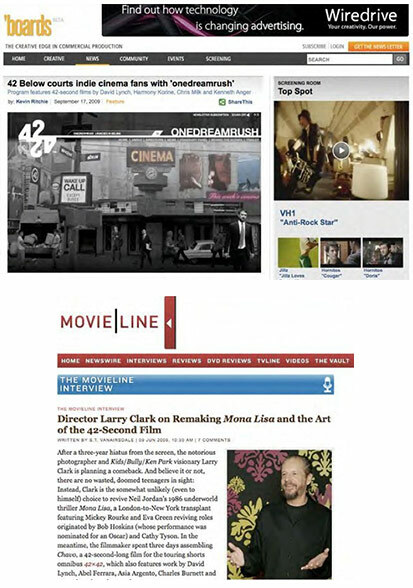 Boards and Movieline Magazine features about ONEDREAMRUSH at 2009 Cannes Film festival.